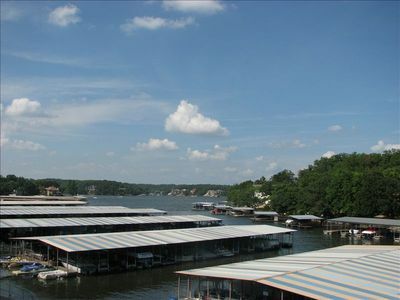 Take in a breath-taking view of the Lake of the Ozarks from our gorgeous 3rd story penthouse condominium. 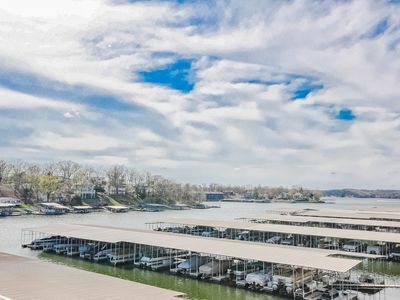 Located just off Hwy 54 in the heart of Osage Beach, you can spend your days shopping at the outlet mall, enjoying the many restaurants and bars, and experiencing the local attractions. 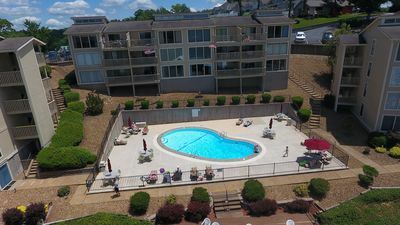 For fun and relaxation just a short walk away, you can enjoy our indoor pool, hot tub, sauna and fitness center. 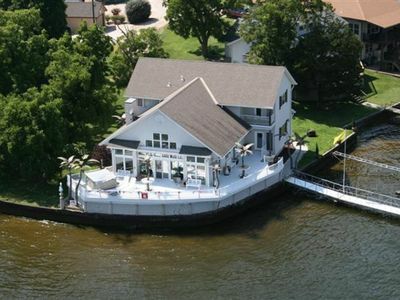 This 1500 sq. 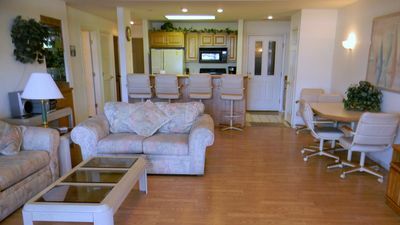 ft. condo features 3 bedrooms and 3 full baths, a full kitchen and living area, spread between a main floor and loft. 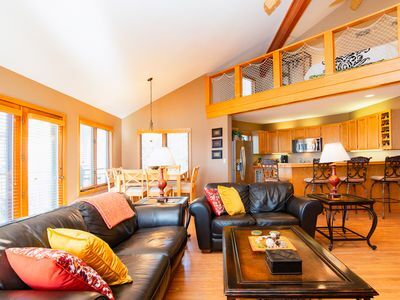 2 bedrooms and bathrooms are located on the main floor, with an additional bedroom and bath at the top of a spiral staircase in the loft. 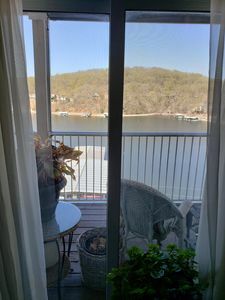 In addition to the interior spaces, this penthouse features 2 balconies overlooking the Lake of the Ozarks, complete with deck furniture and propane grill. 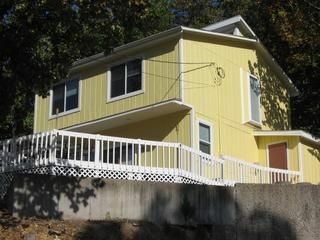 For your convenience, this unit includes a laundry room with washer and dryer. 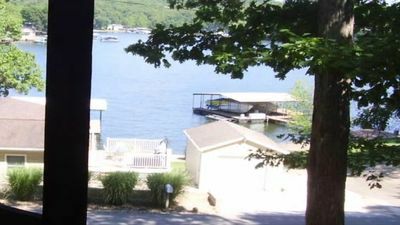 Crystal Springs~7 Masters + Bunk Rm + Hot Tub~Reviews Boast Best on Lake! 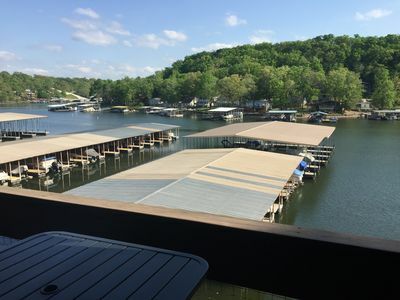 Great View!! 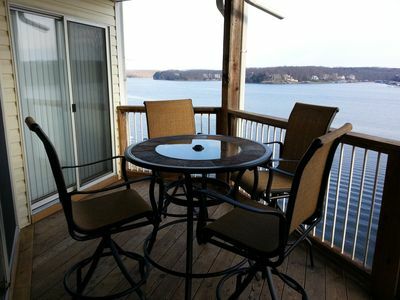 Beautiful 2 Level Condo, Close to Dock FREE NIGHT IN OFF SEASON! 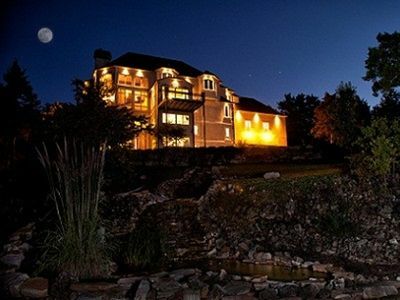 The Vacation You Dream About! 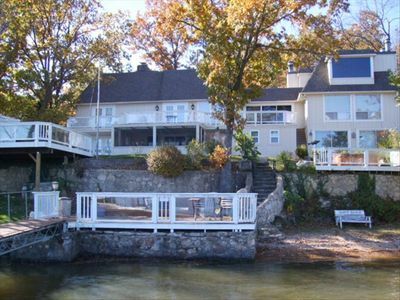 Close to Shady Gators & Camden on the Lake. 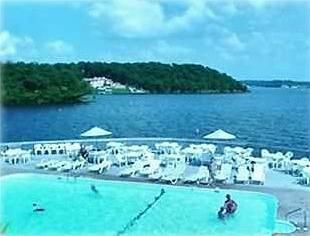 INDOOR/OUTDOOR POOLS! HOT TUB!! SAUNA!!! STEAM ROOM!!!! JUST REMODELED!!!!! WOW! 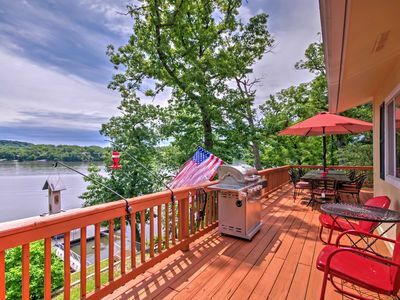 Updated 2 Story-3 bd, 2 ba TOP FLOOR UNIT, SLEEPS 12 w/ Main Channel View! 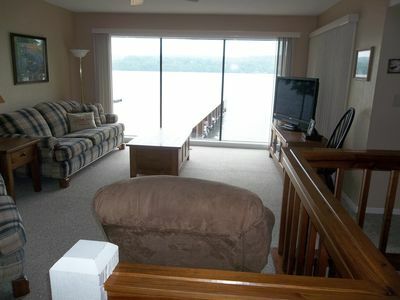 Romantic Waterfront One Bedroom Condo! 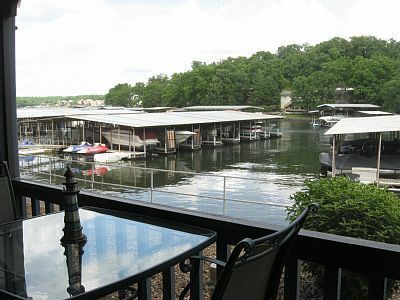 5BR Camdenton House on Lake of the Ozarks w/ Dock! 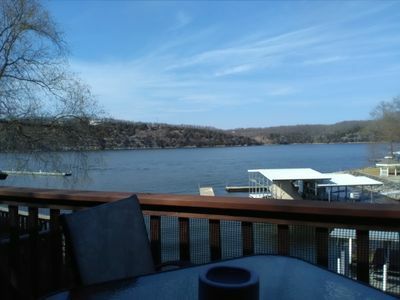 Magnificent Ozark Views! 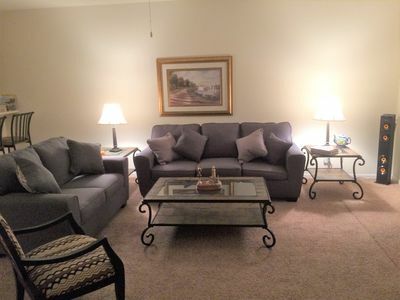 Immaculate 3 BR Condo! 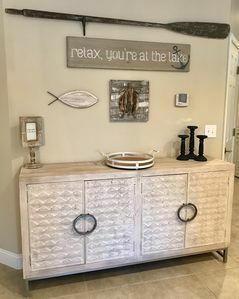 Vacation Awaits YOU!